Solid hull construction designed for serious offshore fishing. The rear deck is massive and there is an added livewell for fresh bait. The interior is spacious and offers good headroom. Basic electronics are installed. The interior upholstery is in good condition too. Stock #165683 Rare hull design! Twin diesels. Flybridge and lower helm. Huge deck. Spacious cabin, sleeping space, head and galley. If you are in the market for a sportfish/convertible boat, look no further than this 2005 Crusader 34 Sportfish, priced right at $89,900 (offers encouraged). 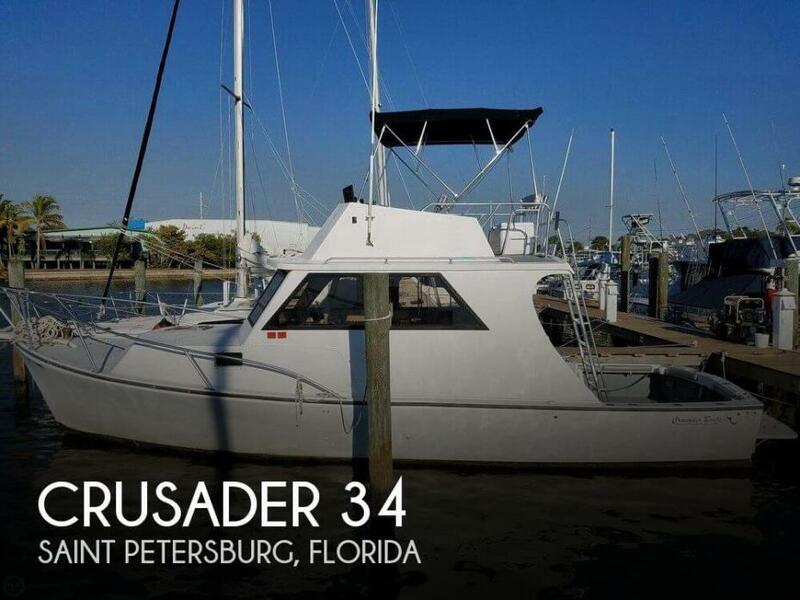 This vessel is located in Saint Petersburg, Florida and is in good condition. She is also equipped with twin Cummins engines that have 500 hours. Reason for selling is health reasons. As you can see in the photographs there are some light cosmetic issues, but nothing major. Per the owner, the engine was rebuilt in the past 4000hrs! Per the owner, he has always kept up on oil changes and service work. This is a very simple vessel and is designed to fish. Stock #171317 1977 Crusader 34 Professionally maintained! Turn key and ready to fish! If you are in the market for a sportfish/convertible boat, look no further than this 1977 Crusader 34, just reduced to $58,900 (offers encouraged). This vessel is located in Gulfport, Florida and is in good condition. She is also equipped with a Yanmar engine that has 6,358 hours. Reason for selling is starting a new business. * * * All information on condition has provided by the Seller. As soon as the boat can be visited the condition will be updated * * * Seller states the overall condition of this Tollycraft is excellent. The boat has been professionally maintained. Service records are available upon request. Stock #168279 Open concept styling, Well-appointed, Solid Construction, Twin 454 Crusaders, Professionally maintained in very good condition If you are in the market for a motoryacht, look no further than this 1988 Tollycraft 34 Sport Sedan, priced right at $61,200 (offers encouraged). 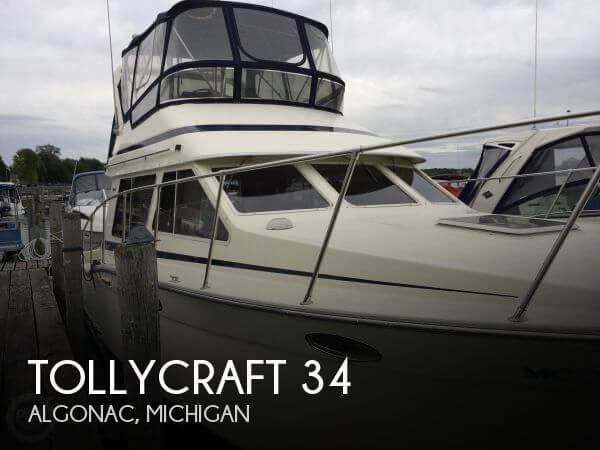 This vessel is located in Algonac, Michigan and is in great condition. She is also equipped with twin Crusader engines that have 1,300 hours. According to the Owner: This is a well maintained Pequod 34, It has twin Crusader 220 Horsepower engines. A cozy cabin with all of the comforts of home, including head and shower. Comfortable sleeping area in the bow features a television and windows to enjoy the night sky. Stock #136736 TWIN CRUSADER 220 HP INBOARDS's...!! GREAT CONDITION..!! If you are in the market for a sportfish/convertible boat, look no further than this 1974 Pequod 34, just reduced to $23,900 (offers encouraged). 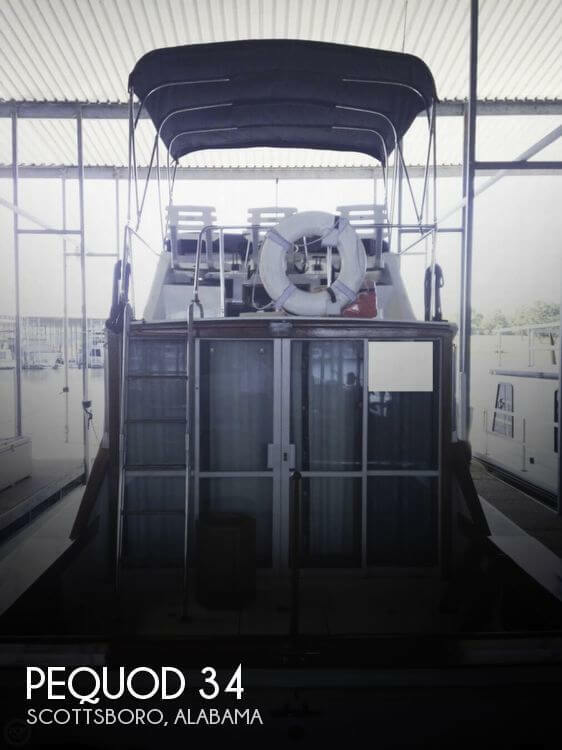 This vessel is located in Scottsboro, Alabama and is in good condition. She is also equipped with twin Crusader engines. Reason for selling is wants a smaller boat. Please contact the owner directly @ 712-560-5321 or [email removed]...10K price drop Great Bargain as we are military and have been assigned back to Iowa Loaded with extra options. Must sell, all offers will be seriously considered. 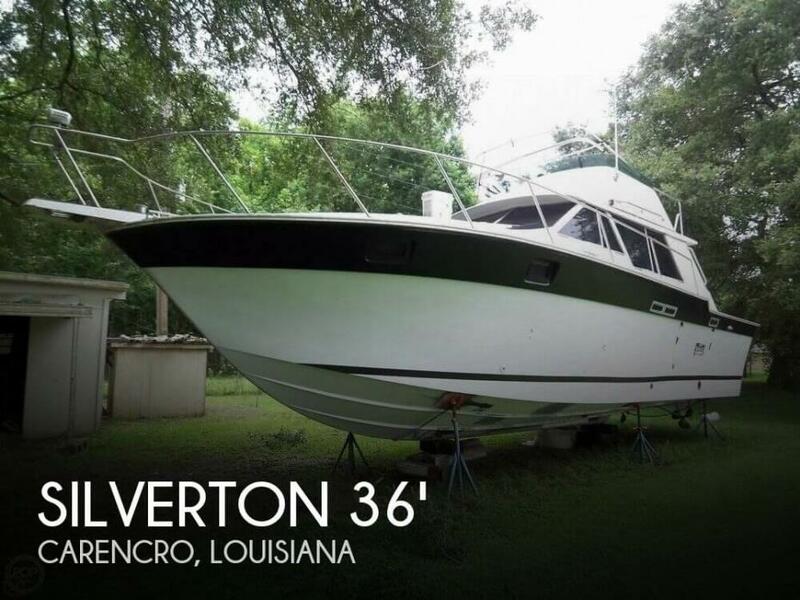 Clean and well maintained popular 34 Silverton Convertible with 1060 hours use on twin water cooled 454 FWC350 HP Crusader inboard engines. A great family cruising convertible, great for fishing too, with comfortable accommodations for 6, the 34 Convertible is built on an all fiberglass modified deep V-hull and offers a spacious tournament style fly-bridge, with helm forward, with seating for 6, generous cockpit and an amazingly bright open interior with a large salon, galley and dinette down, head with a separate stall shower and a queen size berth in the master stateroom. One of the most popular cruising boats every built in the size range the 34 Convertible continues to be an in demand strong seller on the resale market. The Yacht is in good condition according to age. 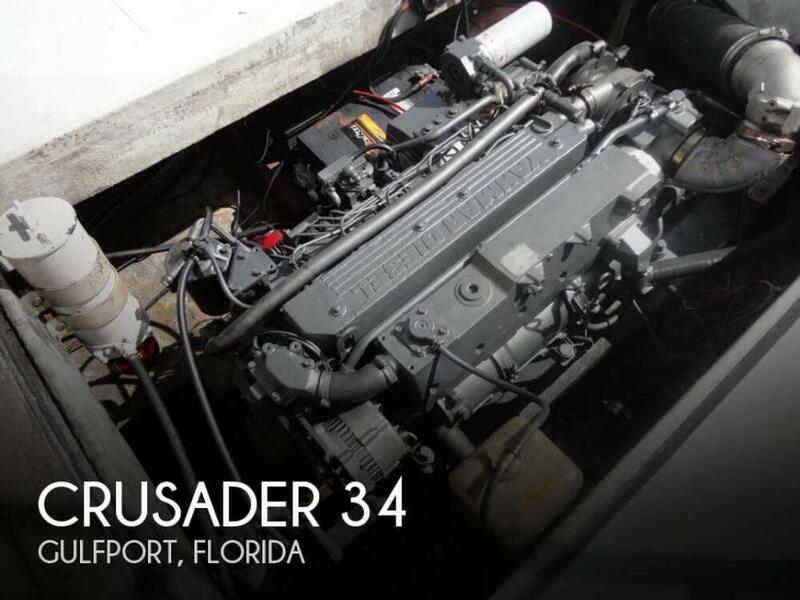 Per the Seller: 1995 Twin Crusader Engines with new blocks installed. Engines were recently rebuilt. Risers and manifolds new also. All upholstery in the seating area at the flying bridge are in good condition. New vinyl flooring in interior. Bedding and mattress are new in V-berth Flat TV, Sound System, and Sofa make a comfortable interior. Solid floor in all the external areas. Stock #151961 1995 Twin Crusader Engines w/ New Block & lots of extras! 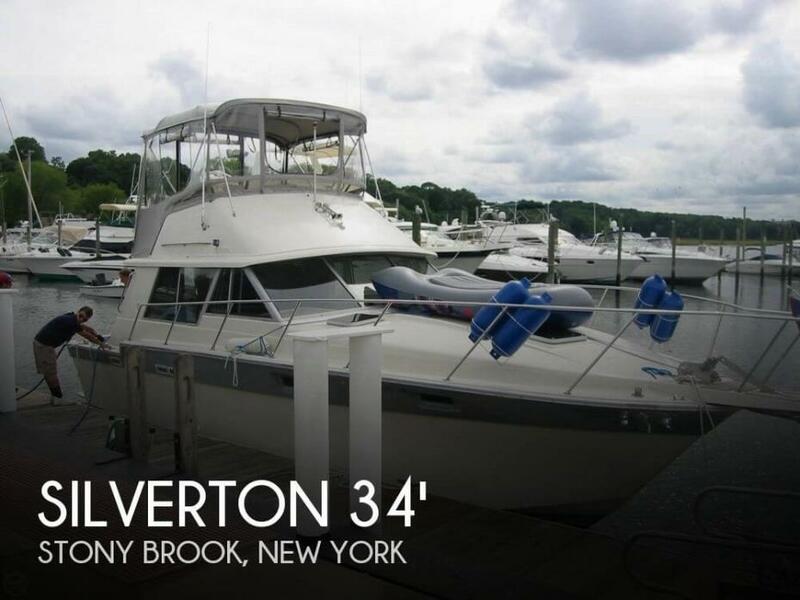 Boat is well taken care off If you are in the market for a sportfish/convertible boat, look no further than this 1995 Silverton Convertible 34, just reduced to $39,000 (offers encouraged). 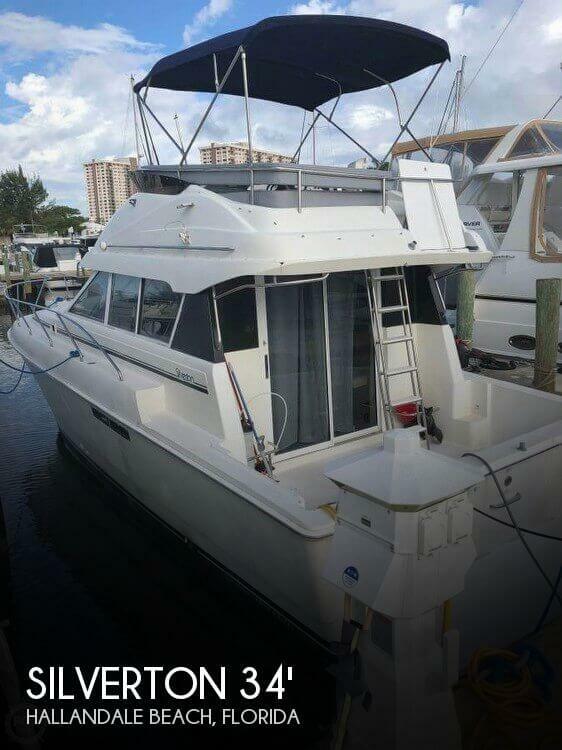 This vessel is located in Hollywood, Florida and is in good condition. She is also equipped with twin Crusader engines that have only 2 hours. Reason for selling is extremely motivated seller is relocating soon and is ready to accept all reasonable offers.. PER OWNER: Bottom paint is only three years old New AC An updated sound system with a flat screen TV in the main salon Professionally winterized every year Engine oil change performed annually. Used isinglass only last two years. Marine inspection from thee years ago available for serious buyers. Stock #143944 Beautiful condition Silverton! Freshwater only! Meticulously maintained! Spacious interior! Loaded and ready to travel! If you are in the market for a motoryacht, look no further than this 1994 Silverton 34 MY, just reduced to $42,250 (offers encouraged). This vessel is located in Kimberling City, Missouri and is in great condition. She is also equipped with twin Crusader engines that have 1,045 hours. Reason for selling is just purchased rv - motivated!. The manifolds are original FWC, was owner is a certified mechanic and keeps everything mechanical in top serviceable condition. The interior has been redone recently and shows well with a new couch and carpet. The generator has not been used in years and is not working. May need a new carb, starter and going over. Per the seller, All other systems and equipment functions as it should. 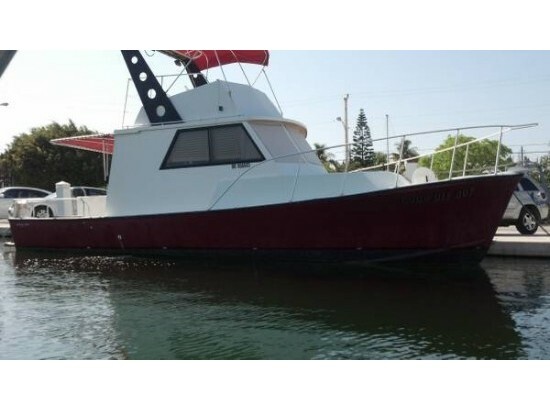 Stock #158328 Very good condition, reliable and well maintained, liveaboard and cruiser! If you are in the market for a sportfish/convertible boat, look no further than this 1990 Silverton 34C, just reduced to $21,500 (offers encouraged). 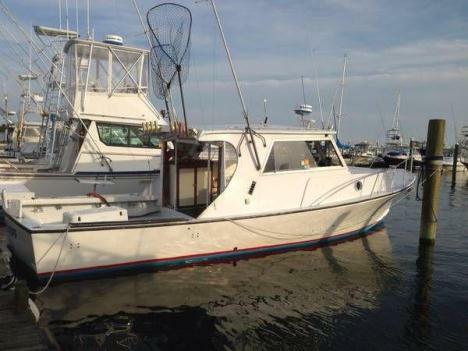 This vessel is located in East Rockaway, New York and is in great condition. She is also equipped with twin Crusader engines that have 560 hours. Reason for selling is no time for boat with work and family commitments. As stated by the owner, the overall condition of this vessel is very good! Port side engines and transmission have been rebuilt. Starboard side engines run good but will need a rebuild in the near future. Hull is in good condition. Canvas is in excellent condition. The cabin area is in very good condition. The vessel does have some normal wear and tear for its age. Stock #158768 For Weekend and for Extended Cruising She is well cared for and turn key and extras include generator, underwater lights & surround sound If you are in the market for a sportfish/convertible boat, look no further than this 1986 Silverton 34C, priced right at $23,800 (offers encouraged). This vessel is located in Cicero, Illinois and is in great condition. She is also equipped with twin Crusader engines that have 960 hours. Reason for selling is owner is moving onto his next project!. For a vessel over three decades in age she is still in pretty good condition, little makeup required, essentially of good genes, fed properly and exercised regularly with a few rough spots and blemishes, mostly genetic and shared by her peers. She is simply a well-made boat doing what all well-made boats do... reward their owners' loving care with performance and longevity. Stock #144488 TWIN CRUSADERS, ONLY 208 HOURS!!!! A SOLID FISHING MACHINE!!!! 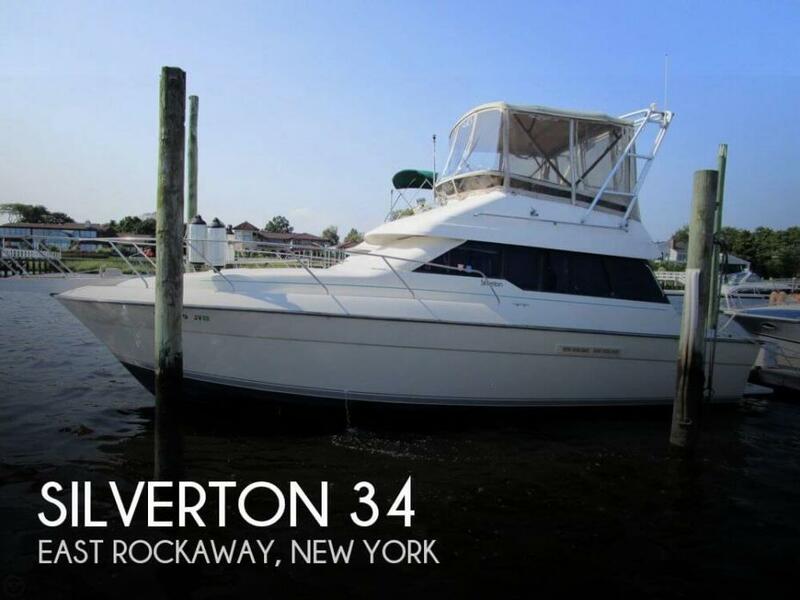 If you are in the market for a sportfish/convertible boat, look no further than this 1984 Silverton 34 Convertible, just reduced to $13,900 (offers encouraged). 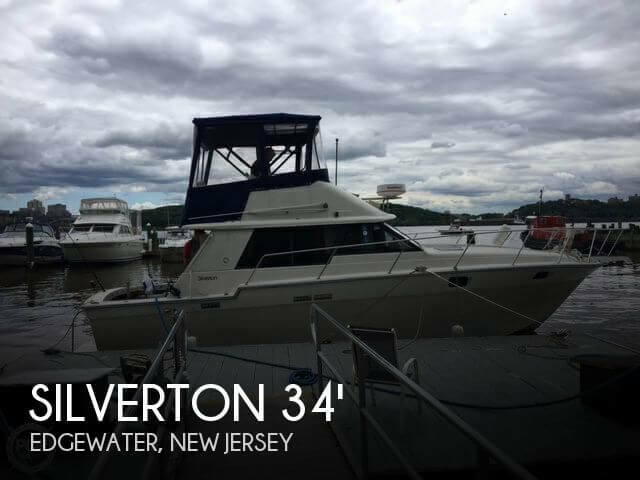 This vessel is located in Edgewater, New Jersey and is in good condition. She is also equipped with twin Crusader engines that have only 208 hours. Reason for selling is needs a smaller boat. 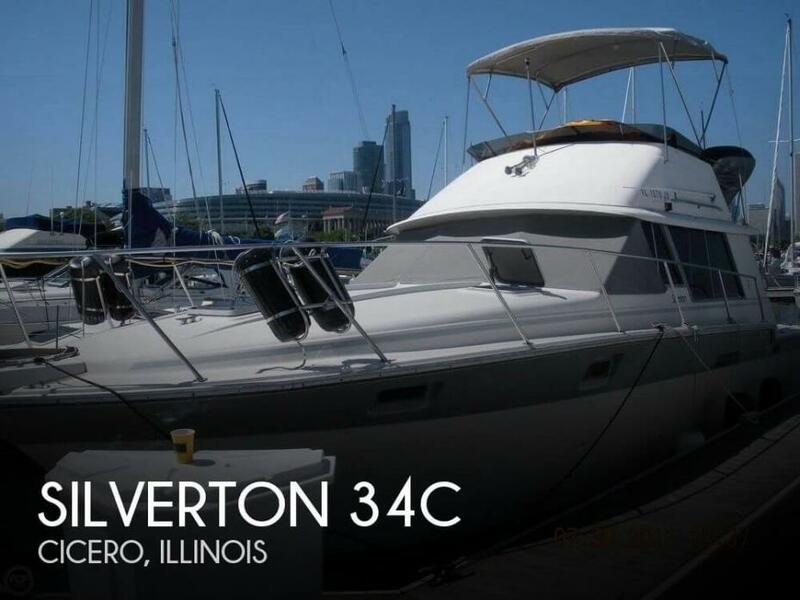 This Silverton 34 Convertible is in very good condition. She has been very well maintained. The cabin is clean and is visibly in good condition. Per the Seller: There have been many upgrades and everything on the boat works well. Stock #159241 Large state room, galley dinette that folds into a bed, master V berth, Head with separate shower, water heater and MUCH MORE!!! 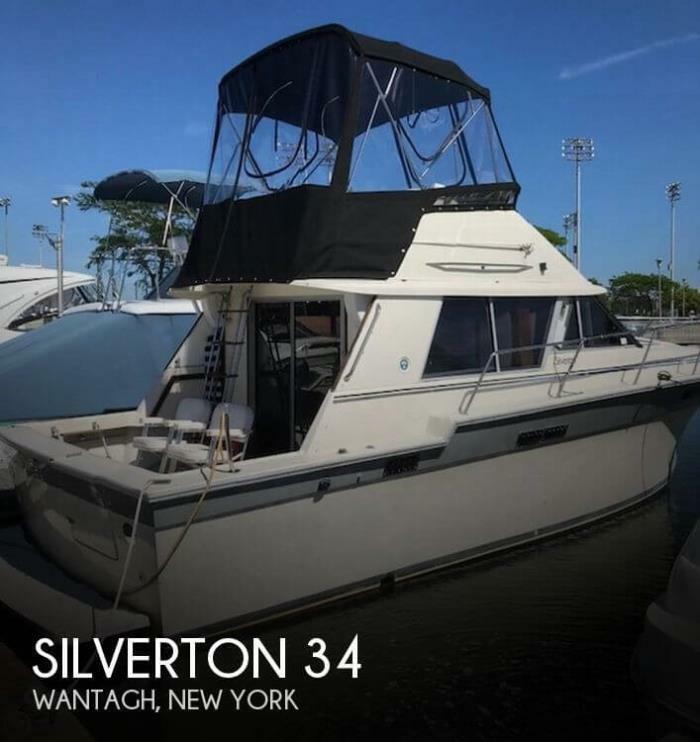 If you are in the market for a sportfish/convertible boat, look no further than this 1988 Silverton 34C, priced right at $30,000 (offers encouraged). This vessel is located in Wantagh, New York and is in good condition. She is also equipped with twin Crusader engines that have 340 hours. Reason for selling is upgrading. This boat has been maintained through out by its current owner. The boat has had all systems checked and are in full working order at the time of this listing. She was just purchased by her current owner who proceeded to upgrade and replace all components that need replacement. Items included removal of salon carpeting and stateroom carpets and installing a hardwood laminate flooring. On the fly bridge the instrument cluster and panel was replaced with all new gauges and panel. To top it off the Bimini top is all new with wrap around isinglass. Both engine were completely tuned up and the starboard engine replacement of the fuel pump was performed New for 2018 Outriggers, Flat screen tv, New fridge, USB charging station , New couch, New carpet Kitchen and sink faucet , Laquer cabinets Stock #087829 Classic Silverton! 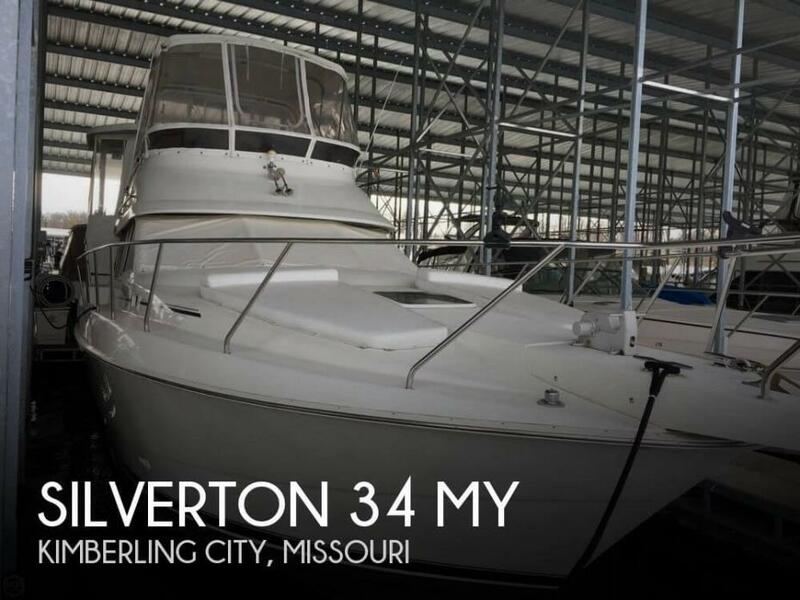 If you are in the market for a sportfish/convertible boat, look no further than this 1987 Silverton 34 Convertible, just reduced to $29,500 (offers encouraged). This vessel is located in Stony Brook, New York and is in great condition. She is also equipped with twin Crusader engines that have 825 hours.